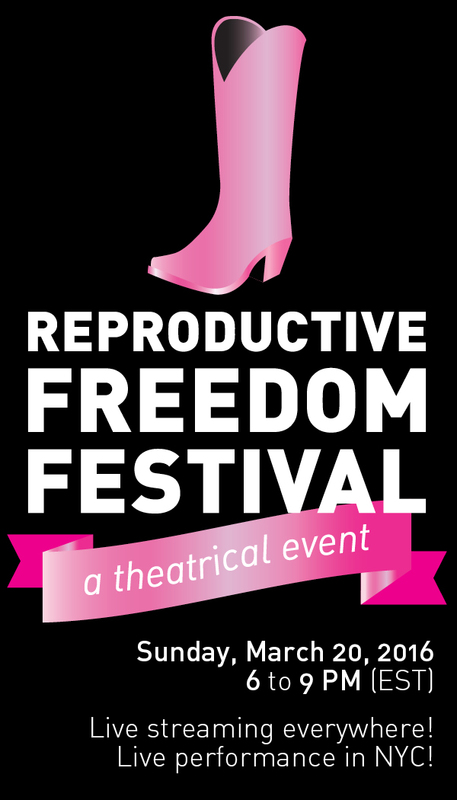 Join the first-ever Live Arts Streaming Reproductive Freedom Theatrical Festival! Twenty-five theatrical shorts about Reproductive Freedom, Health, Rights and Justice from writers around the country, produced by Words of Choice. High quality three camera live streaming from partner LiveArts TV will bring you right into the room with actors, writers, and directors!! Six unique half-hour sets — tune in for all or some from 6 pm to 9 pm EST! Between performance sets, hear interviews with artists and activists! Fascinating, powerful, insightful plays, poems and spoken work about the past, present, future and timeless nature of reproductive freedom. Our writers include (alphabetically): Grisel Acosta, Judith Arcana, Melissa Bell, Angela Bonavoglia, Stephen Cedars, Kitty Chen, Ellen Cohen, Cindy Cooper, Allie Costa, Ave Maria Cross, Margie Duffield, Jessica Feder-Birnbaum, Anne Flanagan, Nicole Goodwin, Yvette Heyliger, HHS Drama Club (NYC), Homework Collective (Ireland), Henry Howard, (Ms) Michael angel Johnson, Mildred Lewis, Samantha Lierens, Jessica Litwak, Junita Middleton, Debbie Miller, Winter Miller, Marge Piercy, Jeremy Rishe, Mercedes Sanchez, Laura A. Shamas and Laura Zlatos. We will also be featuring art works from AbortionLooksLike, Jenny Dodson Mistry and Nadia Chait. Our amazing directors: Francesca Mantani Arkus, Marcy Arlin, Thais Flaitt Giannoccaro, Joan Kane, Atonia Pettiford and Melanie Sutherland. Stacey Linnartz is the Artistic Consultant for the Reproductive Freedom Festival. Cindy Cooper, Words of Choice, is the producer. Tweet from the Livestreaming site or join the chat room to interact with performers and other viewers! @ChoiceTheater #ReproRights Help us use the arts to kick forward the right for reproductive rights! Don’t let biased politicians control the dialogue! Live Arts Streaming and Live in NYC!